Coffees, teas, kombuchas, wines, craft beers, and books. A natural fit, don’t you think? In our cafe, we offer handcrafted coffee beverages, teas, kombuchas, soft drinks, light bites and more. First, let’s talk about our coffee. We partner with specialty coffee roasters who, like us, believe that coffee should be extraordinary. The coffee you’ll enjoy at The Reserve is carefully selected from farmers who diligently grow and process their beans to the highest quality. Our beans are treated with tremendous care and they have been artfully roasted to perfection. We believe coffee is best enjoyed when it is freshly roasted and meticulously prepared. 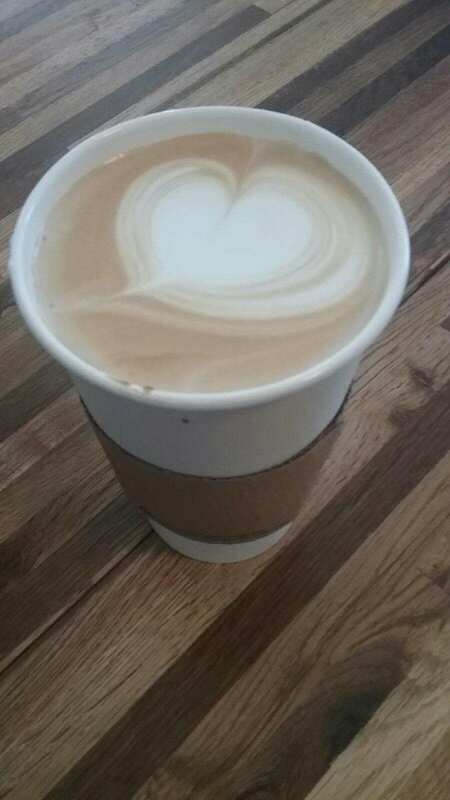 In our handcrafted coffees, which include lattes, cortados, Americanos, and more, we use fresh local milk products from one of our valued partners, locally based Dakin Dairy. The positive difference in quality and taste is remarkable. We also offer a variety of milk alternatives, too! You can enjoy your coffee at The Reserve, and you can even pick up a whole or ground bag of specialty coffee to go. We also offer coffee delivery service for meetings and events. But if you're just not that into coffee, we also have a variety of teas, kombuchas, wines, craft beers, and other beverages that you can enjoy--either on-site, or you can also take them home with you. We work with the region's top wine distributors to bring you a highly curated selection of reds and whites, by the glass, or by the bottle. We also have an assortment of locally curated, artisanal "light bites" from Boar's Head, Glenn Family Bakery, and more to perfectly complement the beverages of your choice. Please click here for our current cafe menu. Our selection changes frequently, so please be sure to check back in periodically. If you have a great local product you'd like us to consider, please email Jessica@TheReserveSRQ.com. *Hours often extended for special events, Meetups, book signings, parties, and more!